1 Why Are Men Losing Hair and Getting Bald?. 2 How to Treat Hair Loss Naturally?. 5 Approach Us for Getting Excellent Male Hair Transplant in Turkey. Are you suffering from hair loss, and you have not got positive results by trying any means, and even after trying some highly expensive hair products? Well, if yes, then you are not the only person, as there are many men out there who share the same concerns. We cannot overlook the enormous range of hair products available in the market even if the results they claim do not match the actuality. Moreover, not to mention how expensive they are. So, if you are shelling out your hard-earned money, and not getting satisfactory results, then it is time to seek for a better option. If you are spending a good amount of money, then you deserve an excellent and a long-lasting solution, and that could be having a hair transplant operation. Before we talk about what is male hair transplant and how it is performed, it is very important to address the possible factors behind this issue and what causes men to lose their hair. Why Are Men Losing Hair and Getting Bald? Considerably baldness is a heritable state which occurs naturally since birth and is not related to any health issues. Men can inherit the bald gene from their parents and hair loss starts to be noticeable as early as their 20s. This condition continues to spread as they get older and in some cases they lose their hair completely at the age of 30. Typically, the early stages of hair loss in men starts from the frontal sides known as temples and moves backwards resulting in a receeding hairline. As time passes hair loss continues and in its advanced stages it spreads to include the crown area and only the back side of the scalp in between the ears which forms the ‘’U’’ shape remains. When the levels of hormones in men are disrupted and is not even it directly effects the hair. The main hormone to cause hair loss is dihydrotestosterone (DHT) which is transformed from the male hormone Testosterone by the help of the enzyme 5 alpha reductase. The hair follicles are very sensitive to the DHT hormone and cannot fight it, therefore, it diminishes causing the follicles to die and no more hair grows. Hair is very prone to fall when certain health and medical issues are encountered in people. For instance, diseases such as hypothyroidism (underactive thyroid) and hyperthyroidism (overactive thyroid), anaemia, autoimmune which is an overactive immune system that targets hair follicles and considers it as foreign bodies, chemotherapy and using drugs to cure cancer, depression and stress, sudden weight loss, physical accidents, emotional shocks such as losing a close person. All of these conditions contribute to hair loss which is not permanent as long as these issues are resolved. Some medications have a negative effect on hair causing it to fall. As we have mentioned above, drugs for cancer, excessive intake of vitamin A, blood thinners and anti-depressants all affect hair loss. Following a balanced diet and including more nutrition’s into our daily eating habits has considerable effects and reflects positively into our mental and physical health. Unfortunately, with the presence of junk food many of us, especially young people tend to consume more unhealthy food. Not following a proper nutrition plan, insufficient intake of proteins or some certain vitamins and minerals such as B3, C or D, and zinc or having iron deficiency are some of the main reasons for hair loss. 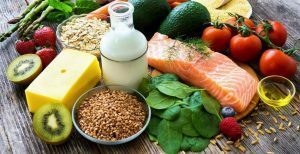 It is very significant to set a balanced diet and include all the beneficial nutritions into our daily habits in order to prevent hair loss and have a healthier and stronger hair. Excessive hair styling especially among young men is definitely harming their hair. 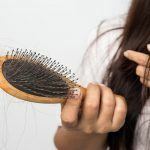 Pulling hair back or using hair styling products which contain harmful chemicals have a serious effect and is capable of damaging and wearing out hair. How to Treat Hair Loss Naturally? In ancient times we find that our ancestors never used to cure any problem related to health or physical appearance by resorting to chemicals. They had a rich nature and they valued this blessing so they took advantage of what nature has to offer in order to fight diseases or any medical and cosmetic issues. In our recent times we immediately opt for artificial treatments and neglect natural remedies. Hair has a very sensitive structure and it can get damaged if it doesn’t get adequate care. Either men or women have to look after their hair by using some certain oils or consume specific foods to gain and absorb all the beneficial nutrients and vitamins that strengthens the hair and gives it that healthy sparkle. 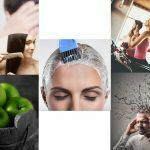 We at Avrupa Saç Ekimi have gathered for you a list of natural and essential treatments to help prevent hair loss and make the hair grow healthier and stronger. 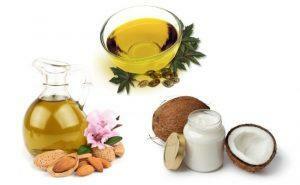 Oils and especially organic ones have a magical effect on our hair and nourishes it. One of the most effective oils that is very popular in countries such as India is Coconut Oil which contains healing ingredients that promote hair growth by protecting hair shafts from breakage, adding a shine to the hair, moisturizing and nourishing hair and it can help making the hair softer if applied regularly. Another kind of oil is Almond Oil which is extracted from the seeds of the almond tree and it comprises of various vitamins, protein and omega-9 fatty acids and magnesium, which are all known to nourish the hair. We can’t forget about Castor and Argan Oils which are very rich with vitamin E, Omega-6 fatty acid which are minerals that help hair growth, prevents hair loss by averting brittle ends and breakage. One thing to keep in mind, is that oils are categorized into hot, cold and viscous oils and you need to be careful when mixing more than one type together. You have to know the type of your hair and use a suitable oil accordingly. It is recommended to consult a dermatologist before applying any products on your hair to avoid adverse results. Malnutrition or following a severe dietary plan can be one of the main reasons to hair loss. Some people only focus on including more fruits and vegetables to their daily diet and totally forget about other significant vitamins, minerals and proteins that the human body requires. 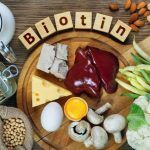 There should be a balance between including certain amounts of proteins, minerals, vitamins and iron so that the hair becomes nourished and healthier. Some of the food that can promote hair growth and prevent hair loss are: fish, chicken, eggs, beans, leafy greens, spinach, rocca, broccoli, dairy products etc. While you need to be more patient to notice favourable results and a decline in the rate of hair loss by using natural treatments, some medications can help in providing faster and effective results as well in a shorter time. However, it is very critical to note that all the medications available in the market are only effective in reversing hair loss progression as there has been no medication up to this day that proved to regrow new hair follicles. In the few coming lines we’ll highlight some of the medications that are approved by The Food and Drug Administration (FDA) to be effective in preventing hair loss. Ask anyone who is suffering from baldness about this medication and they will immediately know what it does. Minoxidil is a topical treatment for hair loss and comes in two forms: liquid and foam. Minoxdil was first used to treat hypertension and high blood pressure and by time patients started realizing some side effects of this treatment and that is growing hair. They started noticing that their hair is growing back and hair loss stopped. After some researches Minoxidil was approved by the FDA to be used as a treatment for hair loss. What this treatment does is expanding the blood vessels which in return permits oxygen to be delivered to the hair follicles and get nourished. Minoxidil is also one of the temporary solutions for hair loss and once you stop using it hair might fall again. 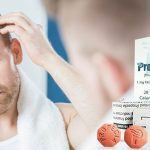 Finasteride (Propecia) is a medication used mainly to treat an enlarged scalp hair loss in men. The most remarkable effect of Propecia is reducing the progression of hair loss along with thickening thin hair; however, it is almost ineffective in re-growing hair in totally bald areas. It is very important to remember that once you stop using it, all the gains you have acquired while using it will vanish. That means you will go back to the original state right before using it, which means hair loss and thin hair. We have mentioned earlier that these treatments are not permanent and hair might fall back again once these medications are not used anymore. But never lose hope because the most effective and permanent solution is only few steps away. A surgical intervention known as hair transplant is your saviour. Hair restoration interventions have gained the acceptance of a wide range of people who are suffering from baldness. The procedure of hair transplant is simply performed by extracting healthy and good hair follicles (grafts) from the back side of the hair which is characterized by having thick hair and resistant to hair loss which means it is not affected by the DHT hormone, and then implanting them in the bald sections of the head. Hair transplant promises people who are suffering from baldness with desirable results and a more confident social, emotional and professional life. We are a leading surgical and medical center, providing the services of male hair transplant in Turkey. We have been serving in this industry for many years, and have provided successful hair transplant surgery to numerous clients, till date. Since our inception, we have grown the quality and excellence of our service offerings year on year, fulfilling the needs of our clients by offering them the first-rate solutions, and maintaining our competitive edge. Our large base of satisfied clients exhibits our expertise in the industry the reputation that we have gained over the years by offering expert services. What makes us stand out is that we work as a family with our clients, and treat them in the best way possible, so that they do not have any fears and get the home-like feeling. Providing comfortable atmosphere at our medical center is what we always strive for. At, Avrupa, we offer the latest and the most effective method of male hair transplant in Turkey, to all our patients. Some of the most reputable and veteran surgeons in the world are a part of our team, and they have been working with us in our Turkey hair transplant clinic for many years. We are highly focused on providing modern hair transplant services to ensure that our patients will always get the finished look that they have desired. Being a reliable hair clinic, providing Men’s hair transplant in Turkey, we always want to help our clients to get the best results possible, when it comes to male hair transplant in Turkey.